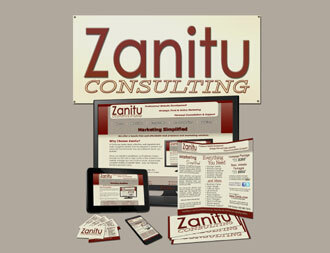 At Zanitu Consulting, Websites are not all we do. We also offer a wide array of Marketing Materials that can be produced for you when you become our client. Business Cards, Flyers, Brochures, Every Door Direct Mailers (EDDM), Posters/Banners and Promotional Videos are some of the things we offer. We offer a multitude of Marketing Materials that can help you advertise effectively to your clients directly. Professionally made Business Cards, Post Cards and Mailers sent directly to their house, we even offer digital forms such as Newsletters that can be sent out via our website management system. Marketing Material Creation is one of the many services we offer. To view our additional services, visit our Pricing page for more information and a list of our prices, you can also view our Package Deals page for a list of special service packages we offer. Or, you can Contact Us directly for more information on something being tailored to your needs.